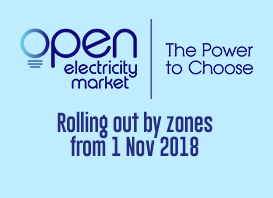 Being the first in Asia to have a competitive wholesale market, Singapore’s electricity industry has been restructured with the generation and retail of electricity separated from the natural monopoly of electricity transmission at the ownership level. As the regulator of the electricity industry, EMA aims to ensure a reliable supply of electricity to consumers at competitive prices. In developing the electricity industry policy for Singapore, which is put into action through regulations, codes of practice and licences, EMA strives to create a market that promotes competition while ensuring reliability of electricity supply. As a forward-looking market regulator, the EMA introduces new policies and policy changes from time to time to keep pace with the changing environment in the energy market. The rationale and considerations in introducing new and revised policies are set out in EMA's policy papers. For example, by introducing vesting contracts in 2004, EMA prevented dominant generation companies from exercising their market power to withhold generation capacity and push up electricity pool prices.